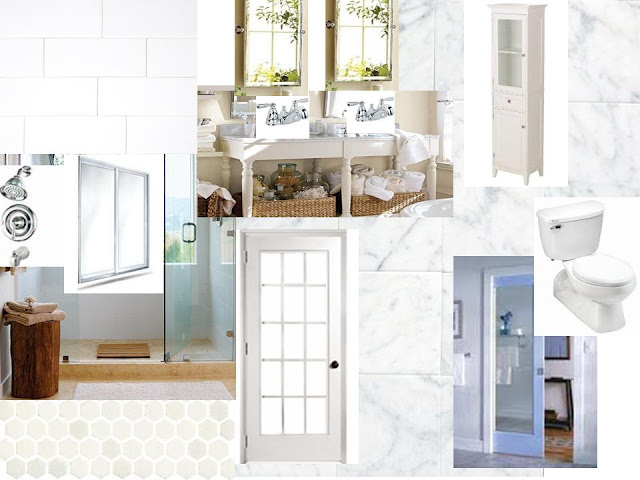 Ten June: The Vanity Files: A Bathroom Renovation Mistake!!! 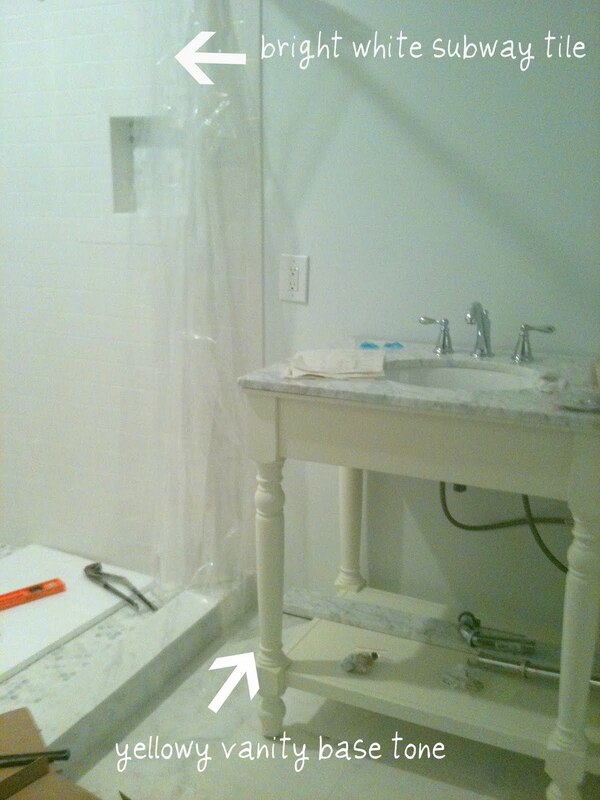 The Vanity Files: A Bathroom Renovation Mistake!!! 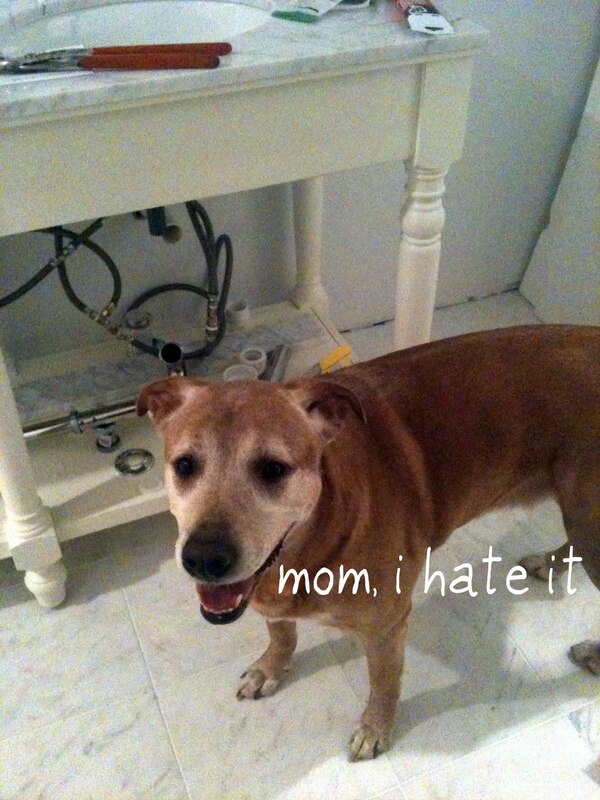 Hey... remember that one time I started renovating our master bathroom? Fast forward ten months. Yes, I said TEN MONTHS! I've been completely honest during our lengthy renovation that David and I planned to make this bathroom project a verrrrry slow one. And slow it has been! Which is cool with us, since we've got two other full bathrooms in our home. And when you are completely renovating a room like us-- demolition down to the studs, modifying the room's layout, rerouting plumbing and electricity, adding a new window, wall and door, tiling, etc.-- lots of glitches come up in the process. So it's sort of nice to have not to push ourselves through it and just slowly work our way through this renovation. Plus, wouldn't you rather lay out by the pool instead of renovate a bathroom? We chose to host a few (five, actually!) pool parties over the last month or two instead of work on the bathroom. Summer weather trumps all! The last time I checked in, David and I had just installed a toilet in our new water closet. Big stuff! ; ) We had also just received our new bathroom vanity. It was a tough choice, but we decided to splurge on this vanity from Pottery Barn. Very pretty, si? Here it is in my design board for the room. I thought it would look great in the room, right? I didn't realize it until I ordered the vanity in early April, but it would take about a month for the piece to be delivered. I waited on pins and needles allll month for this thing to be shipped and installed at my house. So when that day finally came in late April, I was thrilled. But something just didn't sit right once we had it in the bathroom. The vanity is gorgeous, but the base of the vanity is painted an off white that actually looks like it's got sort of a yellow tint to it. And the slightly yellow tone did not match what we already had going in our bathroom- the white subway tile, the marble tile, the light blue walls- it all clashed. And even worse, David and I both hated the thing we thought we loved the most about the vanity: the open concept. It just didn't float our boat. We couldn't find a way to disguise the open plumbing and make it look like we wanted it to. So of course I started sweating bullets. We splurged on something and ended up not liking it? Crap. I called up Pottery Barn immediately and they were gracious enough to allow us to return the vanity. At this point in time, I stopped holding my breath, realized that I hadn't made a $2,000 mistake and thanked the PB rep over the phone about a billion times. One little hitch- the next time that they could schedule a pick up of the vanity? A month and a half away. Geez. Good thing we're doing this renovation at a freakin snail's pace slowly, right? 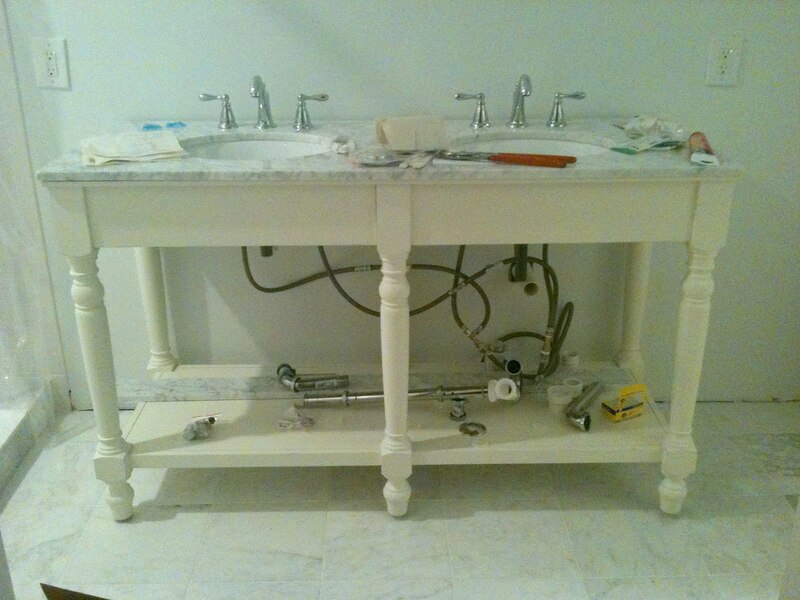 And that's how the early May vanity install turned into an early June vanity return. And we were back to vanity square one by mid June. David and I shopped around and never really found anything else we thought fit what we wanted in the space (or in our budget- there was no way we were going the splurge route again like the PB vanity). So you know what that meant... time to DIY ourselves the vanity we want! We decided to buy a builder-grade vanity (about $300 if I remember correctly) from Home Depot and dress it up to suit our fancy. Here she is right out of the box. I pulled our samples from various other parts of the room and realized that we needed a kick of a darker color to tie the look together. David's genius idea- let's paint the vanity a dark, charcoal gray! And dark, charcoal gray she went! Using the laminate painting tutorial I described in my entryway shelf project, I primed the vanity with Zinsser and then layered it with a few coats of Martha Stewart's Cement Gray. I'm in love. It's going to look amazing with what we've got going on in the room so far! I love love the gray color!! Can't wait to see the white marble top and the finished bathroom! Oooh I love the grey. Tons of storage in that sucker too!!! It's looking great! Agreed on the whole pool/summer weather thing. I pretty much stopped all projects so we could spend our summer by the pool! 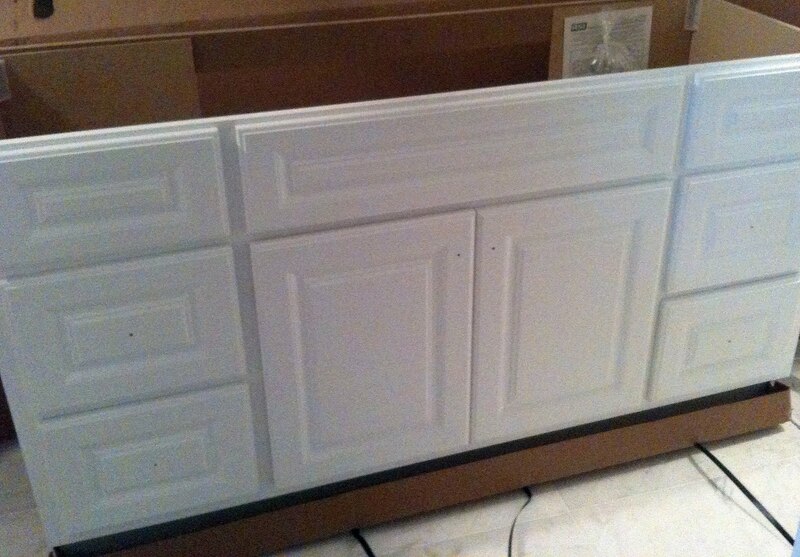 Your new vanity is going to look awesome. It's funny that the pic from Pottery Barn doesn't have any plumbing in the image. Nothing real about that. I'm also so glad they accepted the return. We just found out last Friday that our dishwasher was too deep for the space and thank goodness Sears returned it, too. They picked it up the next day. Thank goodness for good customer service. I'm all GIDDY over your new bathroom to be!!! AND I LURVE the cement grey!!! It is SO MUCH BETTER THAN THE PRICEY PB OPTION!! WOW!!! I wanna see that new marble top!!!! xoxoxo shel ps-when we bought our new home we had a 5 mo old and I said ABSOLUTELY NO POOL (scared to death mommy that I am) and now that she is 17 mo we joined a country club for a pool and Im so wishing we had one in the backyard) WHYYYYYYYYYYYYYY- I had my chance and now I'm trekkin to the club with a car full of crap for the pool. I WANNA POOL PARTY!!!! YAY FOR YOU!!! 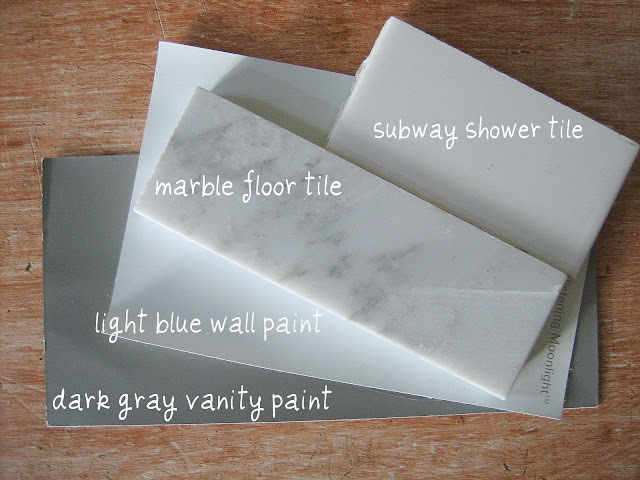 The grey looks beautiful with the marble floor and what a bargain! Good choice! That is the perfect grey!!! Looks great with all of the white and marble that you have. I'm glad that your reno is taking forever... we started our family room reno on the first weekend of August last year!!! Still not done. Yikes. Hi Michelle! Looks great! 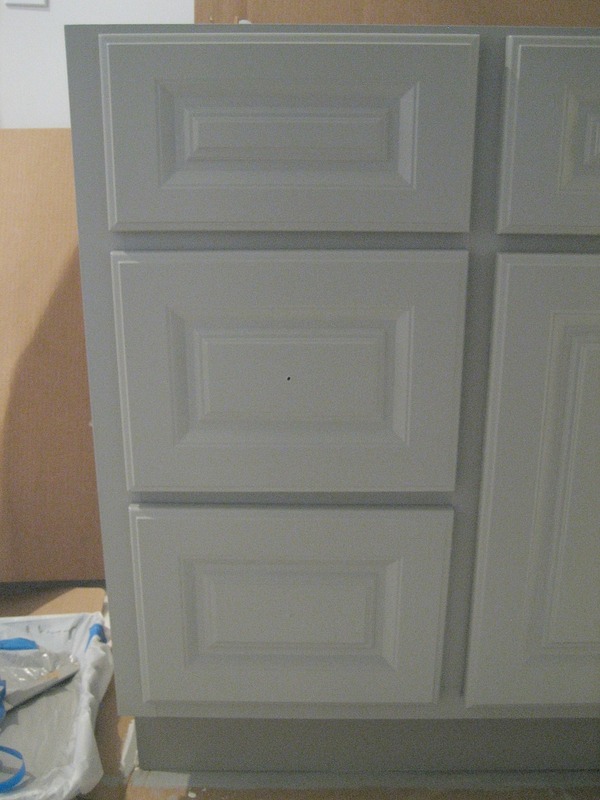 We were thinking of painting our builder basic bathroom cabinetry gray as well. After seeing yours I think I will get started! Can't wait to see it all come together. Oh, I love the gray. Two thumbs up for you for your patience. I like the PB piece, but as someone who needs lots of storage for make-up, hair stuff, etc. I think the other piece is more functional. so glad you have found a solution that will work for you! and glad that you have been enjoying pool time while you can. you can't miss that! the bathroom can wait, the pool will close. 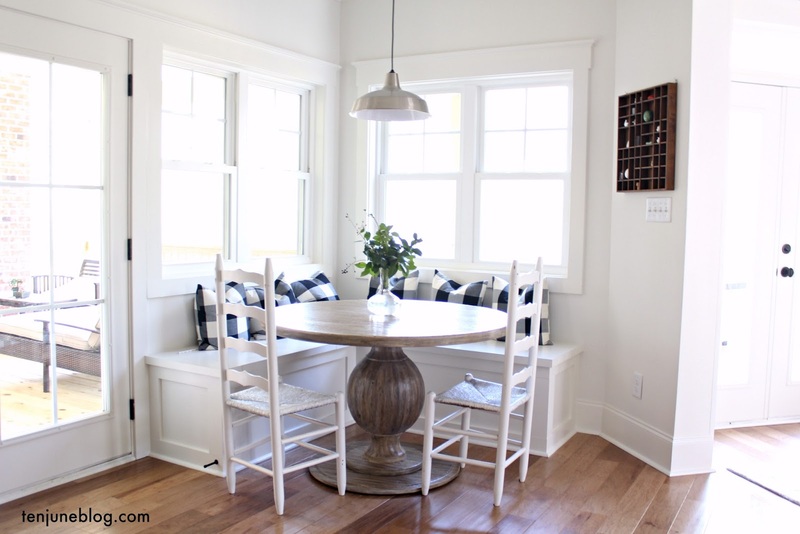 my in laws have abed at their beach house from pb and it is "white" and i saw it and saw how creamy it was and knew that their whites would never work for me either... i like the crisp whites, too. It is going to be such a stunning bathroom, I am so jealous! LOVE the grayish color. I can't wait to see the end product. You are making me want to tackle our bathroom! Keep up the good work! I think you SO made the right choice, girl. This just shows that sometimes cheaper is better (: And you got to customize the HD one to suit you guys. The gray is perfection against the marble and wall color. I see some fun knobs in your future. 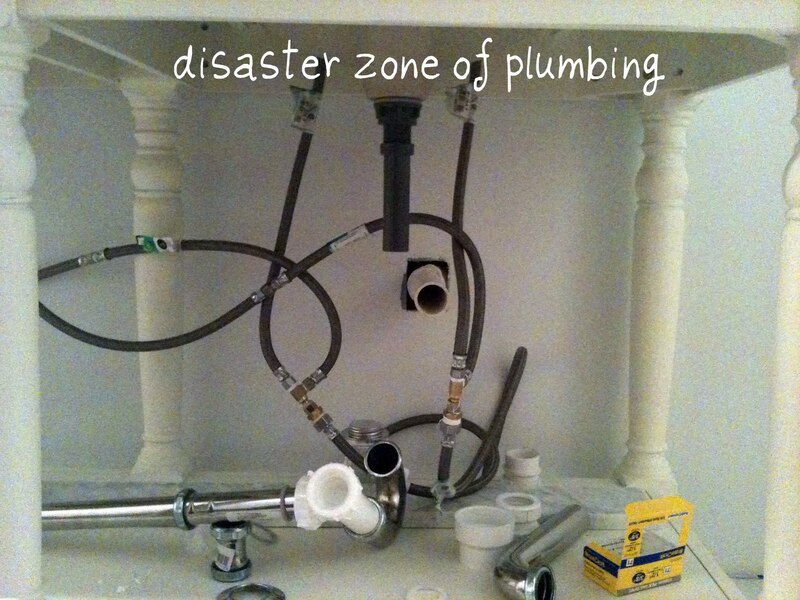 Hiding that plumbing woulda been a toughie! I love what you are doing with the grayish color on the new vanity. Also, I love PB, but what you have going on now is going to look awesome. That is great they let you return it! Great choice on the change of vanity! I love that first one, but you did the true/realistic thing! I love the oath you are going on...the color you painted the vanity is so classy and will look amazing against the marble. 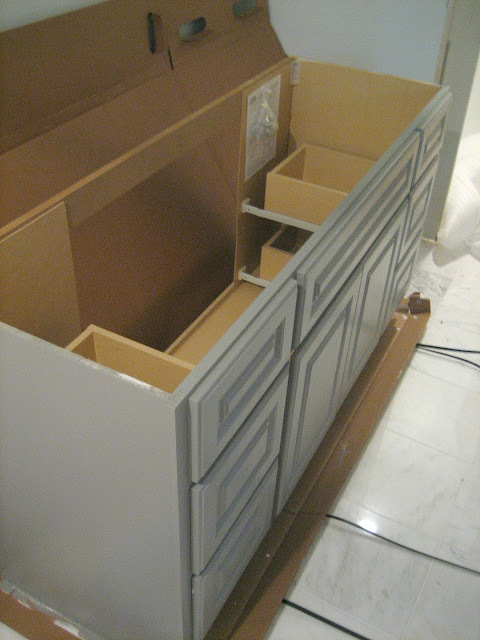 Funny how the PB catalog doesn't show any plumbing underneath the vanity, either! I love what you did as an alternative...very pretty color. thats disappointing that it didn't work out, but how lucky that they're going to take it back for you! I have seen the vanity in PB mags before and loved it, but that issue of plumbing and color is definitely something you wouldn't think of before getting it actually installed...hm. and i like the one you ended up with much better with your look! Oh no! Sorry to hear about the hiccup, but I think you totally made the right choice. I am loving the gray one! Have fun in SF!! So wise of you to return something you did not like. 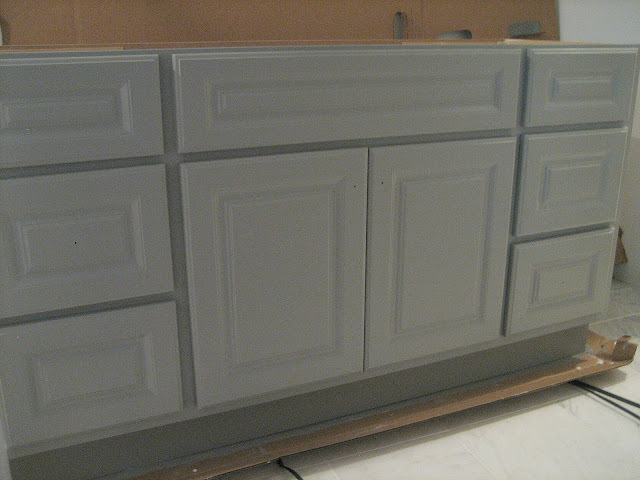 We painted one vanity a charcoal grey that I really like and other a stone taupe...fun! This bathroom is going to be beautiful - loving all the gray tones. Hi. Was that cabinet thermofoil/laminated mdf? Or was it painted wood? I have an existing cabinet that looks just like this.